GasmaskGamer wrote: Why is Subway still sponsoring Michael Phelps? GasmaskGamer wrote: Lol, Maffy's avvy. I wonder what they could be possibly adding this time around. Making it F2P was a pretty big change. Got crashes and tons of artifacts in all my games... Thank god it was only Sapphire TRIXX that caused this and uninstalling it solved all the issues and not a hardware problem. rockshard wrote: GT is so screwed. I think they might have effed up for good this time. If removing factions wasn't the last nail in the coffin, the messed up forums are. "our forum revamp is coming"
"our forum revamp is coming and to show we are super super serial this time, we will effectively shut down our forums until it happens. This way you will know the revamp will totally HAVE to happen this time." Another reason why The Aquabats are the best band in the world. NOOOOOOOOOOOO, The Horsepuncher killed Fluttershy! If you listen to what he said though, it sounded like she deserved it! But he only punches horses that bite people, why would Fluttershy be biting someone? TheWormWhoIsGod wrote: NOOOOOOOOOOOO, The Horsepuncher killed Fluttershy! Better her than a good pony. M "Of Course" Bison wrote: lolTF2, by the way. Some people have waaaaaay too much time on their hands. I just played the Kingdom Hearts DDD demo and all iv'e got to say is WOW! You know it's gonna be the best in the series when they managed to make Traverse town a fun level to play in! TF2 would make the perfect sitcom. Let me go ahead and write the TV Guide description. Nine quirky co-workers find themselves sharing an apartment. Can they over-come eachothers differences and learn to work as a team? Pyro's obsession with fire-starting is creating problems for the other teammates, leading Engineer to help him overcome his addiction. Meanwhile, Heavy tries to get Medic to make him a sandwich. Sniper and Spy get into a disagreement and start pulling bigger and bigger pranks on each-other. But will things get out of hand? 10:00 PM Paper or Explosive? After a night of drinking, Demoman wrecks his car, hauling up his insurance payments and forcing him to work a second job at the local grocery. Guest director Garry Newman. Scout wins the lottery but blows his money on hats and crate keys, much to the chagrin of his fellow teammates. Medic risks losing his medical license unless he retakes his doctoral exam, resulting in an intense week of studying with frequent interruptions. Meanwhile, Soldier attempts to house-train Sniper. 10:00 PM Where's the Intel? Heavy's teammates shun him after the intel is stolen under his watch. Determined to regain their respect, he sets out after the enemy spy who took it. 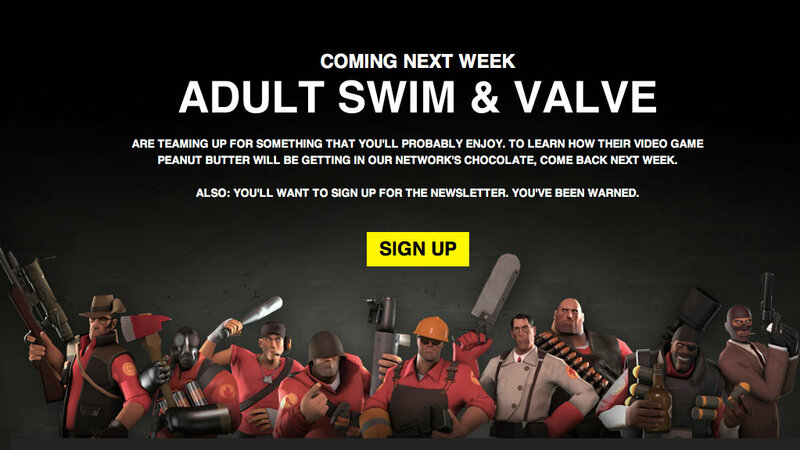 GasmaskGamer wrote: TF2 would make the perfect sitcom. Let me go ahead and write the TV Guide description.